Officials in Ramallah say they will cancel all agreements signed after 2000 if Israel does not agree to their demands before peace talks. Jordanian Foreign Minister Nasser Judeh is set to deliver a letter in which the government of Israel and Palestinian Authority detail their conditions for peace talks to resume. According to the Saudi-owned al-Arabiya the letter repeats the Palestinian Authority's previous demands, which are seen by Israeli officials as an excuse to forestall taks. PA officials demand Israel accept the indefensible pre-1967 lines as a basis for future borders, release terrorists who were imprisoned before 1994, and halt settlement construction in the 'disputed territories.'. They also demand that Israel "respect agreements" signed between the parties. "It does not make sense that only the Palestinians abide by these commitments," it claims. 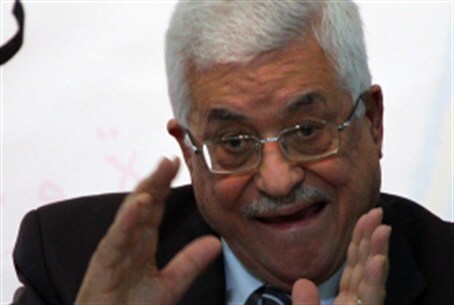 However, PLO secretary genrral Yasser Abbed Rabbo told the PA's Voice of Palestine radio station, "There is no such message and we haven't handed one to anyone." "These reports are nothing but speculations and assessments." Analysts say such a letter would be nothing new, and would not change the current status-quo of the moribund peace process. Israeli officials say recent PA moves at the United Nations seeking the unilateral declaration of a PA state in Judea and Samaria are in clear violation of the 1993 Oslo Accords, which proscribe such moves. PA officials have repeatedly threatened to cancel all agreements with Israel - including security and economic cooperation - if Israel does not acquiesce to their demands. Analysts say such a move would be counter-productive for the PA, which relies on Israel for banking, electricity, telecommunications, and water, as well as the transfer of tax revenues amounting to some USD 100 million per month. The restated demands come after PA officials reported Israel only wants to retain 6-9 per cent of Judea and Samaria, and eastern Jerusalem, in exchange for a comprehensive peace agreement. Israeli offcials have said they are ready to restart peace talks without preconditions "anytime, anywhere." They note that a previous 10-month building freeze by Israel undertaken to meet PA demands was not only rebuffed, but met with more preconditions and a unilateral statehood bid at the United Nations in September 2011. In December 2011, senior PLO officials announced "a strategy based on continuous efforts along with the international community to secure full recognition and full United Nations membership, pursuing internal reconciliation, and keeping up the popular resistance." Israeli officials maintain PLO officials have used recent talks to give the impression they are willing to make peace via bilateral negotiations while continuing to pursue a unilateral track. However, nationalist leaders say Israel's government has failed to accept that the long-failed peace process is at an end necessitating a need for decisive steps to secure the interests of the Jewish state.